The first thing that people said when I mentioned I was going to Copenhagen, whether they had been there themselves or not, was ‘omg it’s so expensive’ (ok, maybe not the ‘omg’ bit). By the time I actually got to Copenhagen I was terrified that I was going to be mugged (figuratively) of my money the minute I stepped outside the door. I am pleased to report that that was not the case. Yes Copenhagen is on the more costly side, I’m not going to pretend everyone has lied and that it is in fact a bargain. But it needn’t put you off going even if you are on a budget and you certainly shouldn’t clutch your krone to your chest in horror at every restaurant, tour or attraction in town. Staying in an Airbnb is a great way save money in Copenhagen. The hostel scene in the Danish capital is hardly thriving. For what I wanted around October-time there just wasn’t anything that suited. Either the hostel didn’t have a kitchen (which would mean I would have to eat out most meals, a definite no-no when on a budget) or it was known as a party hostel and reviews mentioned being kept awake until 3am (no thank you). When I did find something more suitable I realised that I was still paying through the nose for the privilege of sleeping in a 24 bed room with one tiny shared bathroom. When I looked at private rooms in Airbnbs near the centre I found a selection that were not much more expensive than the option of a cramped bunk bed in a disco. 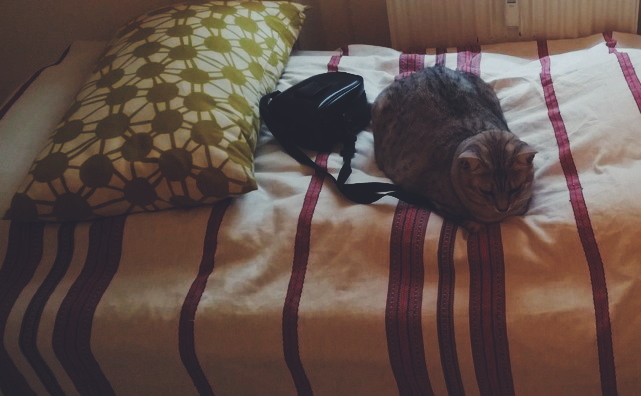 I ended up staying in a gorgeous little flat just off Istedgade that allowed me to use a lovely clean bathroom and fully equipped kitchen, a cute little balcony and two even cuter cats as flatmates. My host was away for most of my trip but when I did meet her she was super friendly and everything was very easy. Staying there also allowed me to go to a local supermarket to stock up on what I needed and make myself packed lunches and my own dinners which saved me a lot of money on food. I would highly recommend the Airbnb (or something similar) option for Copenhagen to save money especially if you are travelling with someone else or aren’t particularly bothered about meeting other travellers (I was there for around five days; not really long enough to need to make travel companions). This is a no-brainer. 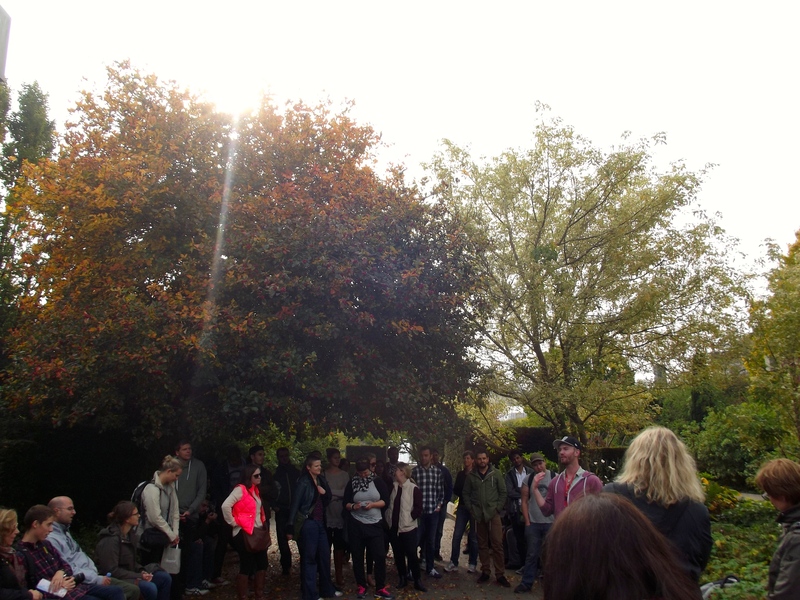 When I arrive in a new city I like to find a free walking tour on the first day. It’s a fantastic way to get to know the city and its history, as my Danish history knowledge was roughly zilch. It also gives you a chance to learn how to find your way around and gives you an idea of the sort of things you want to come back to take a proper look at. At the end you hand over a tip to your guide depending on how good you thought the tour was, although it’s completely up to you. That tip though is nothing compared to what some people might doll out for a paid guided tour. NB: I used Sandeman’s New Europe tour which I had used once before in Munich. Wherever you stay, whether that’s a hostel or an apartment, do your best to walk everywhere if you can. Copenhagen is predominantly flat and most of the best attractions are in the very centre or within walking distance. The longest time I spent walking was going from Istedgade to Frederiskberg to see the park, and then walked all the way back to Nyvahn (which was a bloody long walk, but it kept me warm on a chilly October day!). 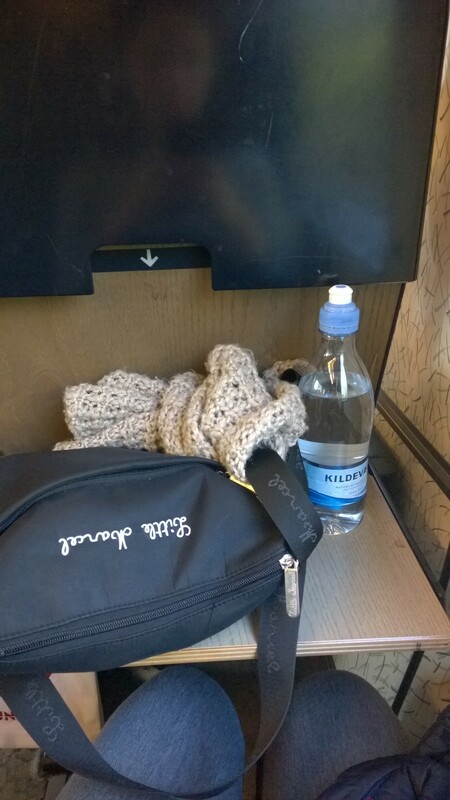 The only time I used public transport was the train from and from the airport and another train to and from Helsingør. Plus, I love walking as a way to see the city: one of my favourite moments was wondering through a leafy Frederiskberg all decked out in autumn colours. NB: Cycling is also a fantastic option! 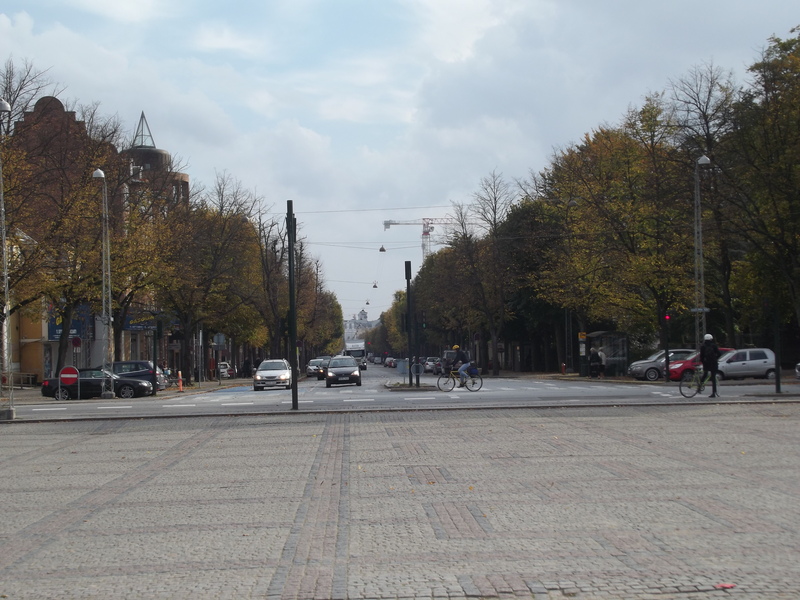 But I’ve never cycled on a road before and decided that Copenhagen didn’t need that sort of disaster. If you want to take transport in and around Copenhagen then it isn’t actually that expensive. For me it felt on a par or slightly cheaper than London depending on what sort of ticket you had. I know London is expensive but I’ve lived there for three years so I’ve justcome to begrudgingly accept it. The best way to use money on transport wisely is to walk around Copenhagen and then spend the money on getting to places outside of Copenhagen if you fancy a day trip. It costs DK130 for a 24 hour all zone ticket and this gets you to some of the best places outside of Copenhagen, e.g. Roskilde and Helsingør. Make sure to buy this instead of two single train tickets: you save a lot of money and then have the ability to hop on any other transport in and around Copenhagen the rest of the day. If you do need to take public transport around Copenhagen then just make sure to do your research and grab the best tickets for your needs. The ticket machines all a million different options and it’s easy to get flustered and just go for the first thing you see, which might not be the cheapest. 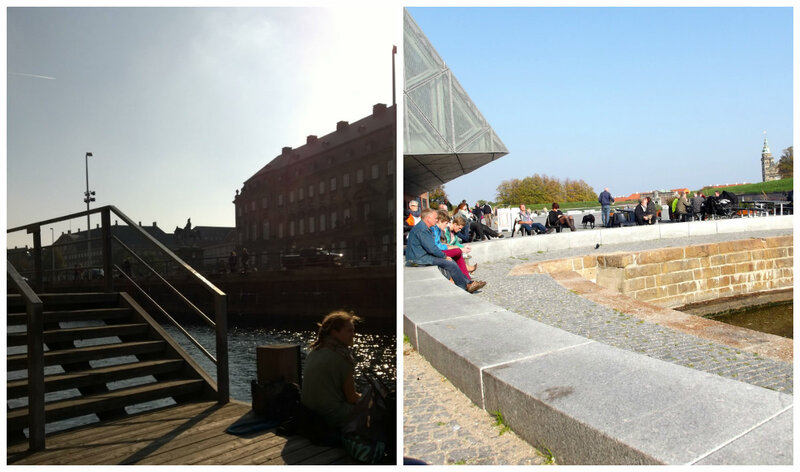 Whether it’s wandering the beautiful grounds of Christianborg (highly recommended, especially if you are a fan of the TV show Borgen), spending a day in the National Museum or chilling out on the edge of the Nyhavn canal in the sun, there is a lot of hugely enjoyable free stuff to do in Copenhagen. If you keep an eye out you can work out days that attractions are free, and if you want to climb a tower to see the city from up high then go to Christianborg’s. When it comes to boat tours take the much cheaper Netto boats. It costs 40kr for an adult on a Netto tour but 75kr for one from a company called DFDS, despite the fact that the two take the same route and seem to have similar boats. 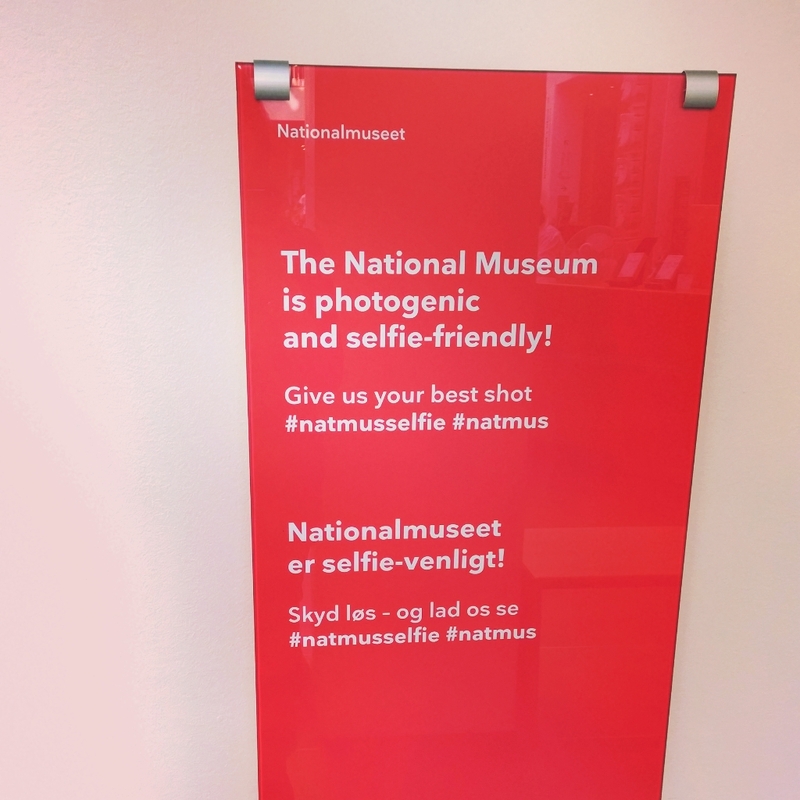 Danish culture is a lot of being in the outdoors: that’s free! This is something that really struck me in Denmark. Even though the October sunshine was out in full during my trip it was still cold with a chilly wind. Despite this, every Dane took the excuse to sit outside with friends and family, whether that be at the side of a canal or outside a cafe. So if the weather accommodates it then make like a Dane and head out to a public space to sit and watch the world go by. Anyone else got some budget tips for Copenhagen? Have you visited and found it too expensive/actually not that bad?